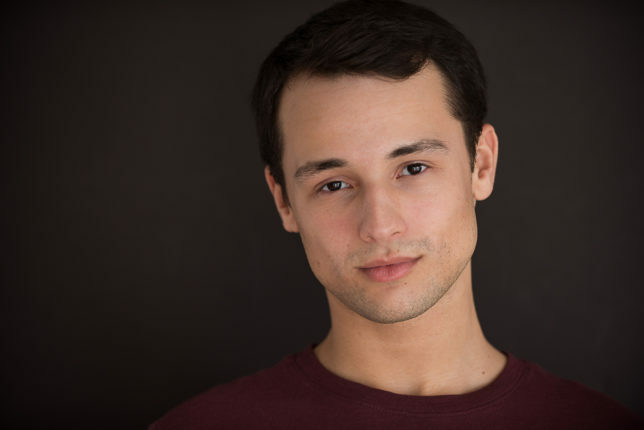 THIS EPISODE WE HEAR FROM KEVIN VELOZ, WHO PLAYS TOBY IN SWEENEY TODD THE DEMON BARBER OF FLEET STREET, WHEN HE HAS A SIT DOWN WITH STUART ABOUT THE PROCESS TO THIS POINT. Kevin: I am very well and you? Stuart: Good! I’m doing well thank you for asking. 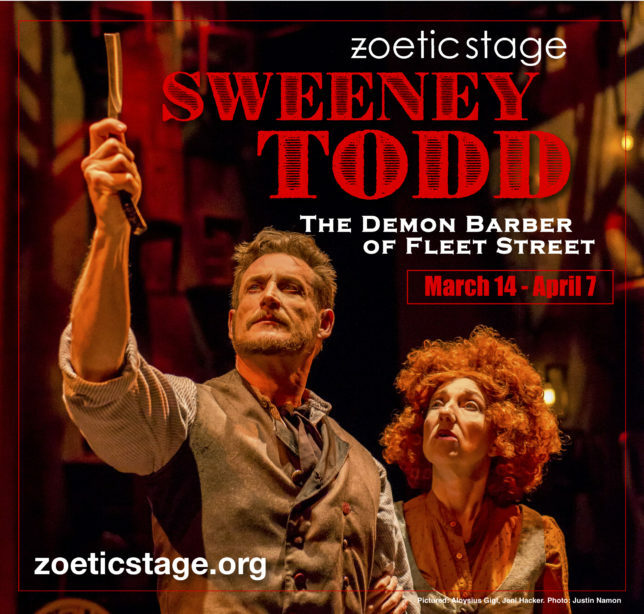 We are nearing the end of the third week of performances for Sweeney Todd. You’re a young artist. Kevin: Yes and very excited too! Stuart: Has it been an exciting journey for you? Stuart: Right! You’re a student at New World School of the Arts, you’re a senior in the college. Kevin: Yes, graduating in a month. Stuart: So by seeing many of these people up on the stages before, like who? Kevin: Well first and foremost Jeni Hacker, I’ve always been such a huuugeee fan of hers, ever since I saw her in Passion, then I saw her in Sunday in the Park with George, and THEN Fun Home! To have finally met her and have my name come out of her mouth was really—I was fan-girling honestly! Kevin: Well I think for me the biggest different between a professional environment and a school environment is that you just have to put your ego at the door. Because at school you have so many young performers that want to shine and want to be noticed and all of that, but working amongst so many people who are veterans in their field you see that they present themselves as servants to the work. Stuart: I think that’s wonderful, it’s really a lovely sentence. Kevin: Of course you need your own artistic ego especially so that you know what work you want to do, but when it comes to Aloysius Gigl and Jeni, it’s really so seamlessly integrated into their work and its such a healthy process being around people who want to tell the story as their first and foremost goal. Stuart: Was there something that you can specifically remember that was either a struggle or a learning moment for you? Kevin: I can’t remember struggling so much in the process because I had so many people around me who were so open to helping someone who is making their debut right now. But I remember watching Kimberly Doreen Burns in the rehearsal process and she was always if not warming up, she would be onstage and be giving 100%, and already have something to the table. It was like every single rehearsal was like a potluck, and Kimberly always made sure to bring something good! It’s like that! And just watching her as Pirelli and the Beggar woman and to watch her so fearlessly put herself out there, and really collaborate with you with a strong energy was inspiring to watch. Stuart: Wonderful! And because we’re doing an eight person version of Sweeney and there’s a lot more singing for much of the cast, how did you find that? Was that exciting or scary? Kevin: I was ecstatic because I didn’t necessarily understand the immense challenge, musically, that it would be. I knew that I was a difficult show to do, but it wasn’t until I actually picked up the music and ran through it that I understood why the cast would be 20 and above. But it was also that much more rewarding when we were able to do the same work and get the product of a 20+ cast, just 8 people, we were able to fill an entire room with sound and not miss a single note nor have the audience feel that anything was missing, it was beautiful to get that finished product. Stuart: Did you start off as a singer as a younger person? How did you get into acting? Stuart: Stereotypical how? You sang that for your grandparents…how is that stereotypical? Kevin: No it was, “I will survive being a young gay lad”, a bit stereotypical—even as a child I had a great appreciation for the divas! Stuart: You did acting in high school correct? Stuart: What High school did you go to? Kevin: I went to Archbishop Edward A. McCarthy High school. Stuart: So that’s in Davie, and it’s a catholic school, right? Kevin: Yes, it’s a Catholic school. I did a production of A Few Good Men that I really knew that this was exactly what I wanted to do. And that it wasn’t just a career but it was in my blood. That’s really what I felt, that it was my calling. Stuart: Did you tell your family that it was your calling? How did they respond, your parents?? Kevin: My parents were always supportive of me going into the arts. My mom was a dancer when she was younger and my dad always wanted to get into film. They saw that I was very passionate about it they supported me 100% and always did whatever they could to make sure that I always got the best training and was able to do that work that I wanted to do. Stuart: That’s fortunate, that’s very fortunate. So tell me about your character Tobias! This is a major iconic role, so your first professional production with such an iconic role! How does that feel for you? Kevin: Tobias. I love him. He goes through such a journey throughout the play. From being heartbroken, abandoned and abused to being picked up by someone who even more was terrible to him, then being picked up by someone else who might be been sweet to him but wasn’t all that they claimed to be. The character goes through an entire journey and it was fun evolving beside him and getting to know him and the world he lives in. Kevin: Not While I’m Around is a classic! Stuart: Yeah! What is it like to be up there and sing that song? Kevin: It’s cathartic for me because the song is set up with those chords and the lights dim and we just have this blue light and Toby is telling the truth for the first time. He’s being honest and showing real vulnerability to someone that he loves very much. Kevin: So just having that experience and being the one who tells his story in that moment is exactly hat—cathartic. It’s incredibly rewarding. Stuart: So you have another eight performances before we have to close this production up. Eight performances. Stuart: Well you know we go into graduation soon, so what is it that you like about acting? Kevin: it’s changed throughout the years but the answer I can give you now is that I believe the theatre is a release for the audience- that they can let go of whatever life they might be living and either learn something or laugh or enjoy themselves, or find a glimpse of happiness on a bad day. That’s what I love about acting, being able to do that for someone else. Stuart: well Kevin thank you very much for taking some time in your afternoon for this. I appreciate it. Copyright © 2019 Zoetic Stage.